The village lies in the Nene valley in East Northamptonshire close to the Bedfordshire and Buckinghamshire borders. 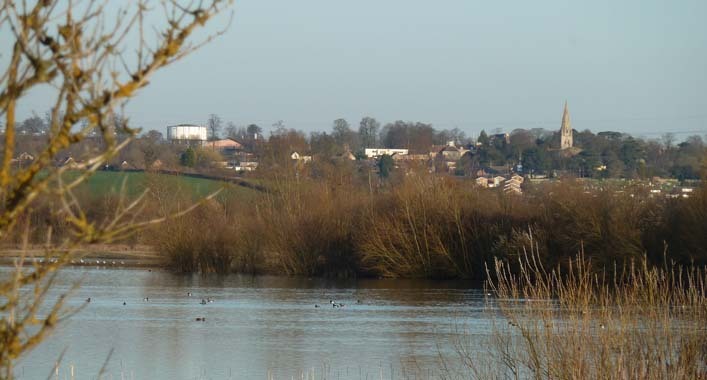 It is just to the East of the A509, 3 miles South of Wellingborough and 14 miles North of M1 junction 14. See the Location page for more details. 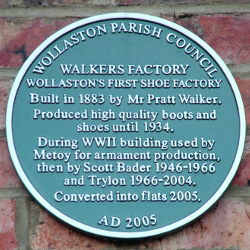 Wollaston was first settled in the mid Saxon period during the 8th Century. 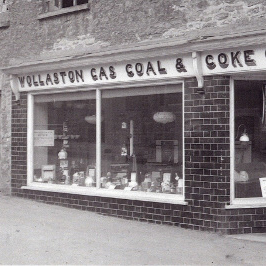 It is shown as Wilaveston in the 1086 Domesday Survey, the name meaning Wulflaf’s Town, after an early Saxon settler. 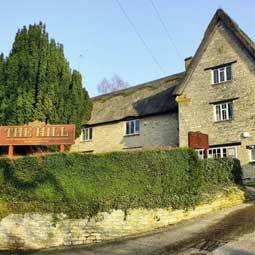 Originally an agricultural settlement with a market granted in 1260 by King Henry III, the village had two manors, Hall Manor and Bury Manor. Following the Dissolution of the Monasteries in the mid-1530s both passed into the ownership of The Crown. A Motte castle was built on Beacon Hill during the anarchy of King Stephen’s reign (1135-1154) but it was dismantled in 1154 on the accession of King Henry II. Later from the 13th to the 16th century a windmill stood on the hill. The current population stands at around 3,500. 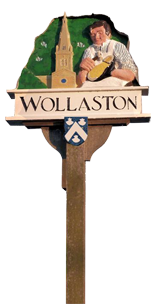 Wollaston offers a wide range of local services and facilities including two doctors’ surgeries, a pharmacy, a small supermarket, a newsagents/off-licence, cash machine facilities, a post office, a public house, a restaurant, takeaway food shops, a village hall, a library and several churches. The Aim of the Parish Council is to enhance and protect the quality of life of the residents of the village and to ensure that Wollaston retains the attributes and facilities that make it such a desirable village in which to live. The Council strives to meet this aim by using the authority of various Acts of Parliament, Orders and Regulations invested in it. We hold a monthly meeting (except for August). Members of the public are able to raise matters of interest or concern during the first 15 minutes of these monthly meetings. For details of upcoming meetings and minutes of previous ones, please see the Meetings Diary page. Council tax - We set the Parish Council portion of the Borough Council Tax. We initiate and fund (sometimes with the aid of external grants) capital projects that benefit the community. Recent examples include Playing Field fencing and the village hall storeroom. We support village events, organisations and charities that the council consider essential or beneficial to the community. Examples include WASNAV, The Museum / Heritage Society and the Pocket Park. Village Hall - We hold the Village Hall in trust for Wollaston. The running and maintenance of the hall is devolved to the Village Hall Committee. Seats, benches and bus shelters - We maintain the seats, benches and bus shelters within the village. Safeguarding - We work with the Police to safeguard the village against crime, vandalism and anti social behaviour. Youth Project - We support the village Youth Project to ensure the youth of the village have an amenity of their own. Notifying - We advise the Borough and County Councils on traffic, roads and other miscellaneous matters. 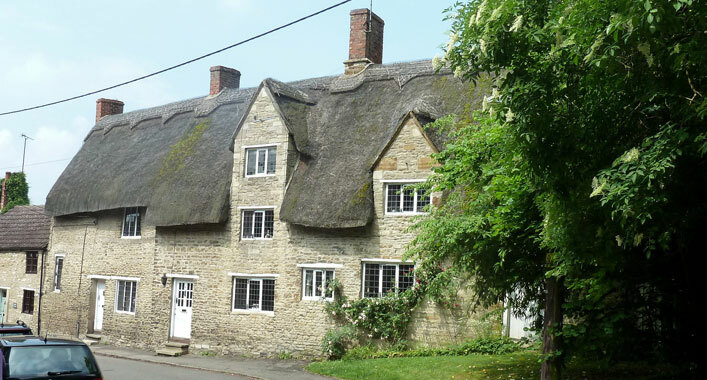 Wollaston Museum contains items covering the history of the village, Curiosity Cottage is an 18th century dwelling dressed as an early 20th century cottage, bringing history to life, and Beacon Hill is an English Heritage Scheduled Ancient Monument.